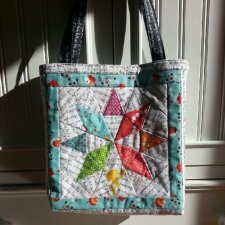 "There are lots of star patterns out there but this one is a great one for spotlighting small prints and rainbow hues. 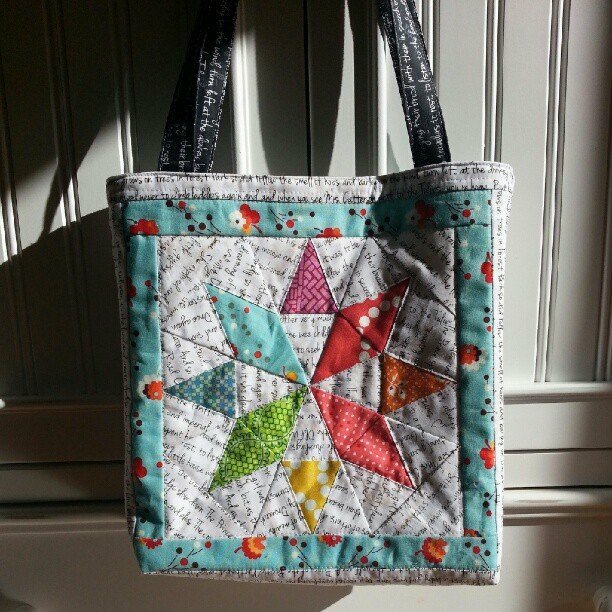 I used this same pattern (12″ size) when I made my Mouthy Stitches tote for Kat." 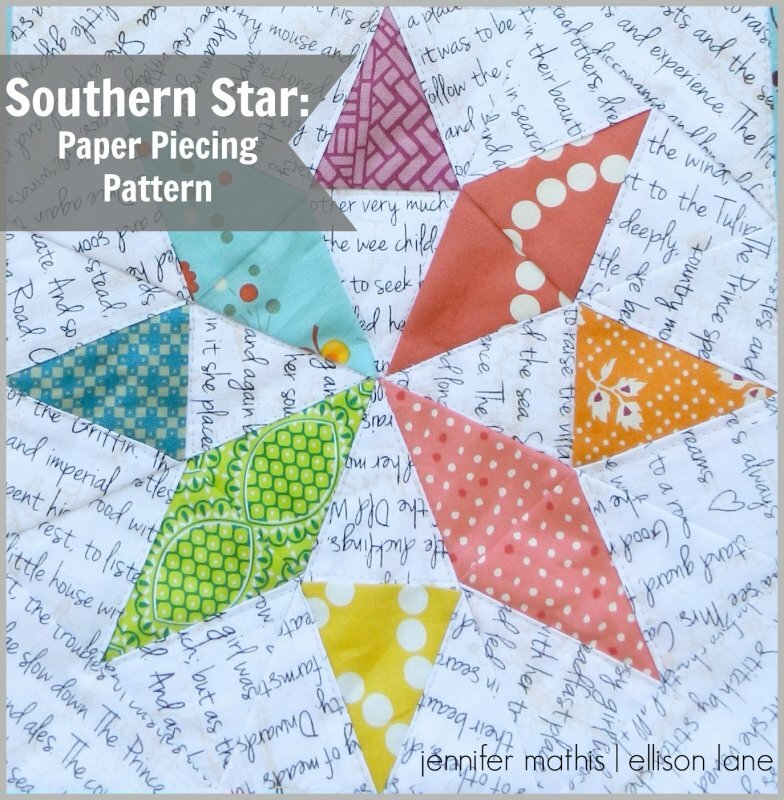 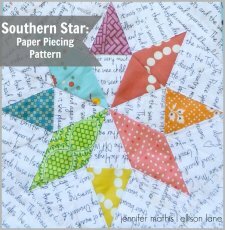 In her article, Jennifer links to her tutorial on the basics of paper piecing, so if you're new to this style of block making, check it out!